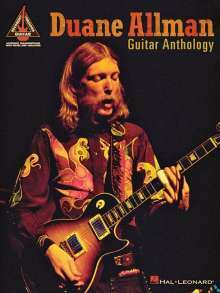 Der Artikel Duane Allman Guitar Anthology wurde in den Warenkorb gelegt. Ihr Warenkorb enthält nun 1 Artikel im Wert von EUR 21,42. 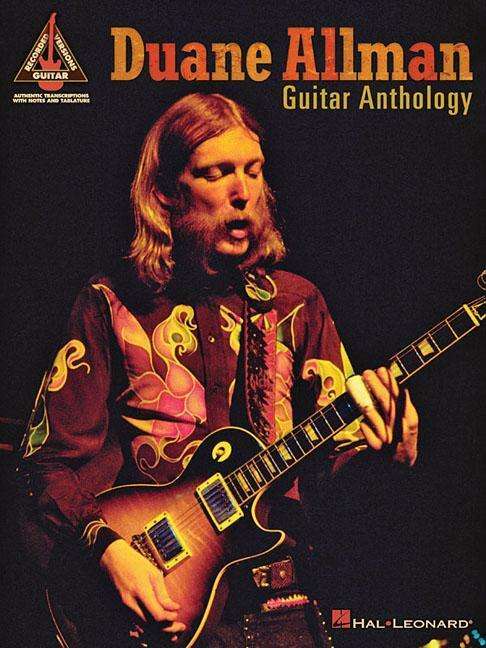 Best known for his role in the Allman Brothers Band, guitar virtuoso Duane Allman became a Southern rock legend after his tragic death at age 24. This anthology brings together his work with the band, as well as hits from his time spent backing other artists such as Derek and the Dominos. This folio features 20 songs, including: Don't Want You No More * Hot 'Lanta * Layla * Little Martha * Mountain Jam * Somebody Loan Me a Dime * Statesboro Blues * Whipping Post * and more.